So, I haven't even picked up a camera for weeks (going through some almost fatal experience puts you in a bit of a trance), nor have I gone outside to even play with my Christmas presents (oh, man, cannot wait to show you the Leica I got). Itching to post pics, here are some pics from my last NYC trip! 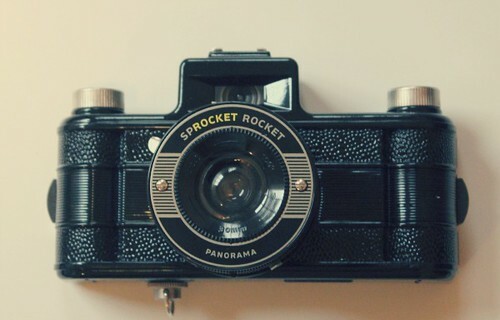 Lomography came out with a panoramic, wide angle, 35mm format plastic camera last year, The Sprocket Rocket. 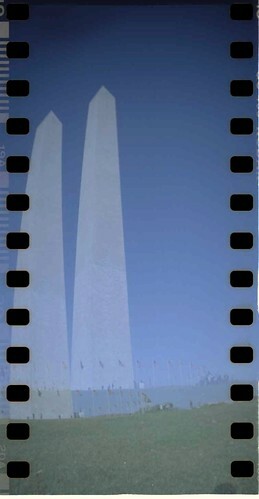 I got it specifically for my NYC trip last November and I with a panoramic film strip, I also wanted to test out my Lomography film scanners with my new(ish) scanner. I haven't used a Lomography camera in so long, it was fun challenge to have. I'm not sure if it was the NYC or the camera, but I had those old lingering feelings of the romance with film again. Even more so when the photos came out. Walked across the Brooklyn Bridge! It almost has a fish-eye angle to it if you get up close! I'm really happy with the camera. I even had a group of Japanese guys approach me in DC. I thought for a moment their giddy eyes and flirtatious manners were for me, but sadly, The Sprocket Rocket was the reason their mouths dropped open, and barely looked at me but at camera. I was flattered, as they were holding their luxurious Hasselblad's and Leica's, they were eyeing my little plastic camera. I love the option to leave the sprockets on the camera, that adds charm to how the film turns out. 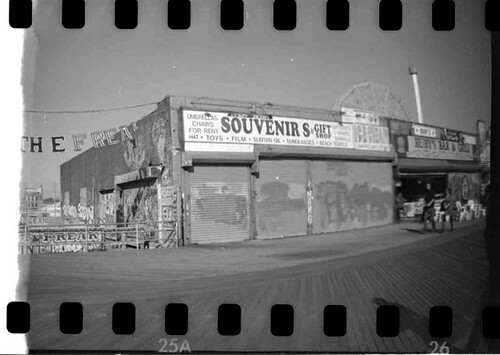 I didn't get prints of any of the rolls I took, thanks to my scanner and film masks, so that saved me at least $30. You can buy the camera here and I'll be uploading more pics on my flickr set.